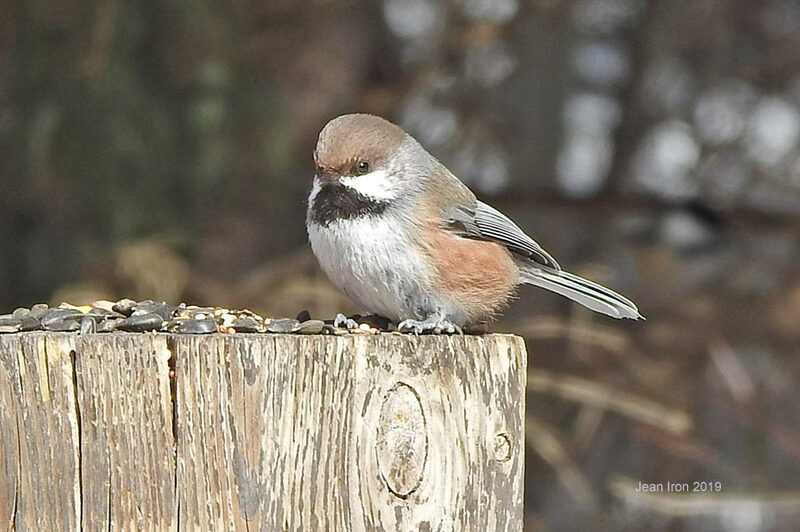 VIDEO: Boreal Chickadee at Darlington Provincial Park in Ontario on 6 March 2019. 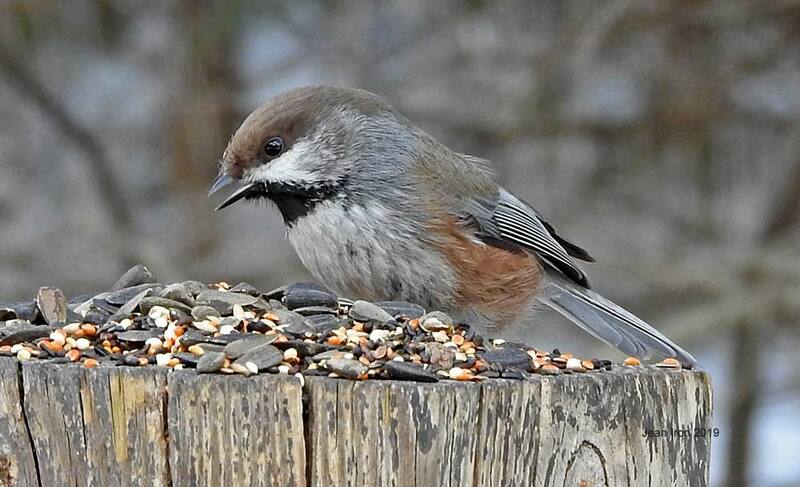 This chickadee from the boreal forest is wintering at Darlington, to the delight of many observers. I have learned from observing it that it prefers peanuts to sunflower seeds. 6 March 2019 at its usual spot on the second gate from the west side entry. When we first arrived it spent the most time on the post gathering as many peanuts as it could. Then it only came in periodically and very quickly Darlington Provincial Park on 6 March 2019.